The effective management and use of the radio frequency spectrum, as a naturally limited public resource, is in the interest of the Republic of Croatia. In accordance with the Electronic Communications Act, related bylaws, and the Constitution, the Convention and the Radio Regulations of the International Telecommunication Union (ITU), HAKOM ensures and stimulates effective management and use of the radio frequency spectrum. The achievement of the effective spectrum management implies interference-free operation of radio communications services, taking into account protection of human health and safety of users and other persons. 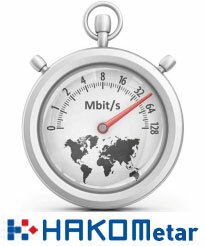 HAKOM prepares and adopts Radio Frequency Allocation Table and Radio Frequency Assignment Plan, grants licences for the use of radio frequencies, performs inspection and market surveillance of radio equipment, issues and publicises regulated radio interfaces, carries out control and monitors RF spectrum and protects users from interferences.